Interview with TROY STETINA: Music truly is the world’s best hope to cross borders, cross cultures and show humanity what we have in common. 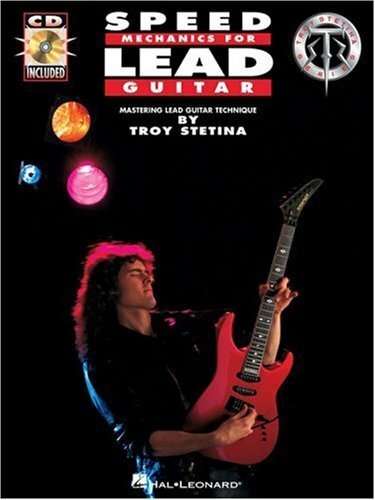 Troy Stetina is an American multi artist, Guitar player, writer and producer but he is best known for his career in teaching guitar. With his track record of writing more than 40 rock and metal instructional methods, he is really one of best guitar teachers in the world! 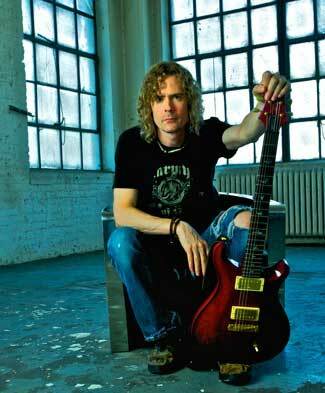 He also operates his recording studio, Artist Underground, and he plays guitar in his band, “Second Soul” . I was lucky to have an interview with him and ask him some questions that you may like to know about him. * Hello Troy, How are you doing? How’s the rocking going? Any SHOCKING news? * Do you remember the first song or tune that you tried to learn on Guitar? That was an exciting moment for all of us! Yes! It was Firehouse by Kiss, the first song I attempted to learn by ear… picking out the single notes of that riff. * I believe You are one of most successful men in the world, what is your secret and how do you feel when you are looking to the past and you see your self here in this situation? Thanks. I don’t really think about it. It just is what it is. I was fortunate to have the opportunities that came my way and I applied myself. So I feel successful there, but also unsuccessful at the same time. I mean, as a guitarist, musically speaking, sure. And yes, success came for me in the form of music education. Things just clicked and the opportunities were there… I was in the right place at the right time. But as a recording artist, something always went wrong, bad timing, wrong people, whatever. It’s not just about the music, a lot of things have to line up together to make it happen. I gave up on that side of things in the 90s. Then more recently, things started aligning and I gave it another shot. Still, there has been one delay after another. At this point Second Soul may be poised to tour, if all goes well. I would love to be able to reach my audience as a performer, but it’s very expensive to tour and I don’t know if the US market will support us. As far as a ‘secret’ all I can say is to follow your inspiration and keep your hope alive. Things come in their own time I guess. Maybe also, be careful how you measure success. As long as you keep moving in the direction of your dreams, that IS success. But it’s been a challenge to keep that perspective at times. * Wikipedia said that you are influenced by Randy Rhoads and Van Halen, but I can see you use some Malmsteen technique in your methods, would you tell me more about which guitarists and musicians influenced you in your career? Sure. Back around ‘84 when I became aware of Yngwie, I was already into classical music — Bach, Vivaldi, Paganini’s 24 Caprices and so on. I learned quite a bit of Malmsteen’s first album and even covered “Far Beyond the Sun” in a band I was playing with at the time. I liked how he did longer runs. Never heard anyone do that before him. I also picked up on Paul Gilbert a bit in the mid 80s. But I was always more interested in playing actual classical music on electric guitar, rather than playing neo-classical metal. My favorite musician of all time is Ludwig Von Beethoven. I did an electric version of the final movement of his Appassionata piano sonata. An excerpt from that appeared in Fretboard Mastery. The rest of it will probably go onto a new guitar record I’ve been thinking about recording. * Can you tell us about your students and the feed back that you get from them? I know you have millions of fans and students around the world, but can you mention some of them who are now successful guitar players or in great bands? I get emails from a lot of players who learned from my guitar books. Some are in successful bands. Mark Tremonti is the most successful musician I’m aware of, who learned from my stuff. But there are others here and there. The most compelling story to me of influencing someone actually came from a doctor in Italy. He was depressed and suicidal, having trouble getting through medical school, and had taken some time off to figure out what to do with his life. He played guitar a little on the side, too. So on a whim, he picked up one of my books and started playing it to pass the time. After a few days he said he noticed he was making a significant improvement, something he never thought he would be capable of, and this inspired him. After a few weeks of this progress, he began to believe in himself again and decided to make another attempt at medical school. He graduated and is now a practicing doctor… and he credits my work as having saved his life! THAT means the most to me of all. * I know that you wrote more than 40 Rock and Metal instructional methods and they sold over 1 million copies, can you tell us which of them are most attended? And what is the reason that most of the young people around the world who want to play guitar use your methods? 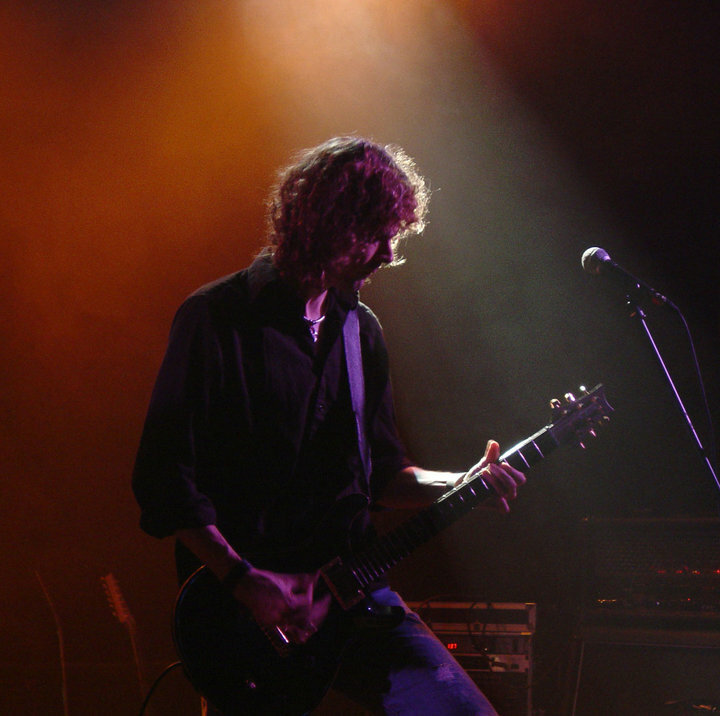 Speed Mechanics for Lead Guitar became the most popular… I’ve heard a lot of people in the US call it the “shredder’s bible.” It became well known on word of mouth on the internet, I think because it works. There were a lot of groundbreaking ideas presented in that book. I remember coming across a conversation online about guitarists talking about “inside” and “outside” picking on the web, using these terms as established terminology of guitar technique. I smiled because I had invented those terms and here they are now part of the lexicon of guitar! That was an awesome moment, and I kind of marvel at that stuff because I never set out to do that… only to share my journey as a guitarist trying to master the instrument myself. Overall I think that the books became very successful because I was really a musician first and a teacher second. So I was a musician who could really do it, and just happened to have the ability to also analyze what I was doing and explain it. As a result, the music in the methods stood the test of time. If the music sucked, or I just wasn’t a good enough performer, those methods wouldn’t have done so well. I boiled down everything I knew to help others achieve everything I could, and did so without holding anything back… I think that comes through. * “A roadmap to becoming the musician you’ve always wanted to be!” that is what is said about “Sound and Story” DVD on your web, and also it mentioned Mark Tremonti and Michael Angelo Batio as guests, can you tell us more about that? And would you tell me how it happened that the amazing Michael Angelo Batio made an appearance on the DVD? Yeah, I think it’s a very concrete thing about developing technique and creative expression. You need to follow some very specific principles and I’ve identified what they are and how to approach it. I think seeing that bigger picture is very helpful in the journey. Regarding Mike Batio, he actually lives very near me here in Wisconsin, but I had never met him until Mark Tremonti brought us together for a warm-up/jam/sharing session backstage at an Alter Bridge concert. Mike and I did live solo performances with Alter Bridge once here in Milwaukee. Mark brought us up one and a time and then we played a cover tune together with the band. So Mark, Mike and I have been getting together and jamming here and there. Mark just loves to play guitar. He invited us to do video guest lessons on his “Sound and Story” DVD. It was a natural thing for me to ask them both to do guest spots on mine. Brings a wider perspective. * Let’s talk about your band, Second Soul, I read about your meeting with Mark Tremonti and the story of the formation, but is there any more that you would like to tell us? The bands debut album, “Beyond the Infinite” was released in February 2011, tell us more about that, especially if you have any particular memories of the recording process? The band actually was on the verge of a record deal in 2007. But I went through a difficult divorce and had to prioritize my kids. So everything fell apart. After that was over, the three of us came back together and finished the record on our own. I’m very proud of the Second Soul album. I produced it in my own limited studio, but it sounds as good as anything. 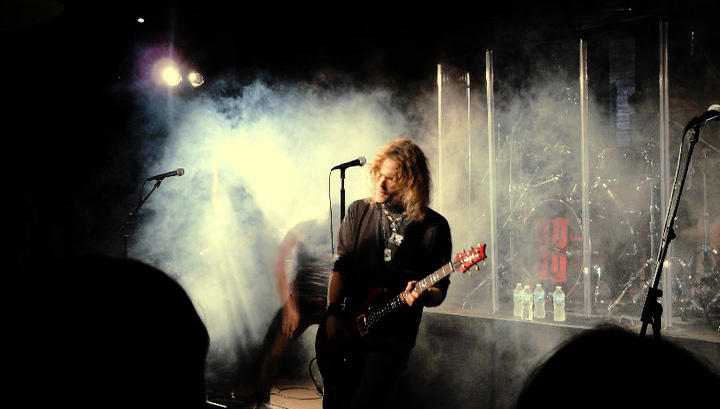 It very much conveys my ideal musical vision… strong yet melodic vocals with a lot of emotion, lyrics that dig deep emotionally, and a powerful musical delivery. It’s also something that has a lot of depth musically. What I keep hearing is that on first listen, people often notice that it’s good, but it’s not so much a “front loaded” appeal. As they listen more, it grows on them and they hear more and more within it. Although there are a lot of pretty intense guitar moments on the record, it all takes a back seat to the songs. It really is a band effort and not a “Troy Stetina” guitar thing. That was intentional. I consider myself a musician first, and a guitarist second. And a teacher last! * “I never started teaching because I thought ‘hey, I’d like to teach!’…” that’s what you said. Now how do you see yourself in next 10 years? A guitar player or a guitar teacher? Oh, as a player for sure. That’s all that is left I think. 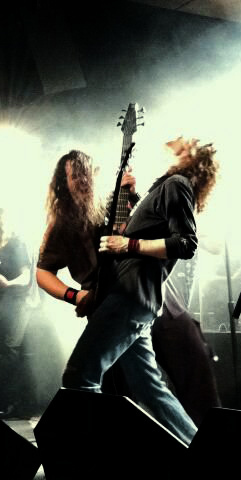 I’ve touched on my potential as a guitarist at moments, but never fully put myself out there as a performer. That is the unrealized part of me for sure. * Can you tell us about the guitars and backlines that you use? I read that you ripped apart your Jackson because it was so ugly! * If you want to suggest one of your guitar methods to a beginner, which of them would be the important one? And what’s your main suggestion to young people who want to start learning guitar? If someone likes rock and metal, start with Metal Rhythm Guitar Vol 1. Pace yourself. There is a saying “Rome wasn’t built in a day.” That’s true for guitar technique. Enjoy it and get lost in the music. Also, maybe find a teacher to help you through it if you have any doubts about if you are doing things correctly. After that one, progress into Vol 2 and maybe pick up Total Rock Guitar. If lead is your interest, also progress into Metal Lead Guitar Primer, followed by Vol 1. Around that time, you would be ready to supplement it with Speed Mechanics, Fretboard Mastery and the Fret12 “Sound and Story” DVD. That’s a lot of material. But then again, we are talking about pro-level shred and mastery of the instrument. It’s gonna take a number of years. Find music that inspires you and enjoy the journey! * We had a talk and I told you that Metal music is illegal in Iran, and also there are more countries here in the Middle East where MetalHeads can’t show what they truly believe in public, do you have a message for fans in countries like Iran? Yes… I admire your enthusiasm and willingness to hang on to what you believe and pursue what inspires you! Music truly is the world’s best hope to cross borders, cross cultures and show humanity what we have in common. I believe the world becomes a better place when we share our inspiration and creativity and thoughtfulness.